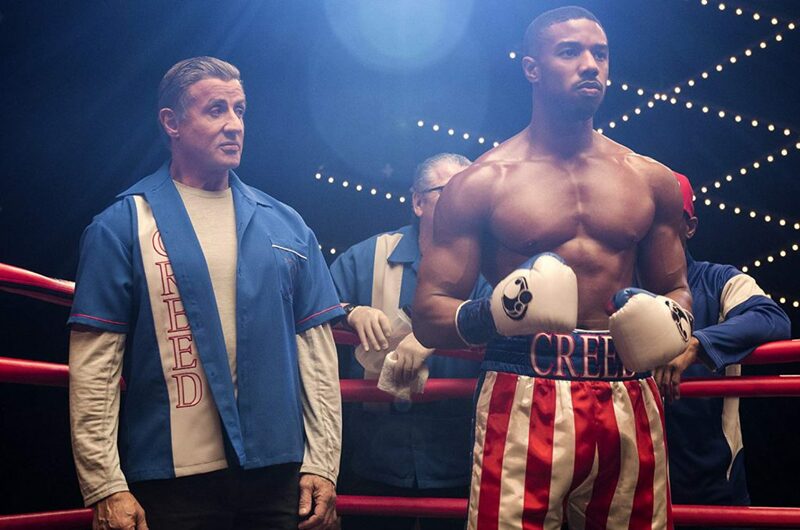 Reducing to a cartoon the cinematic excellence that Ryan Coogler brought in 2015, effectively reviving the dead “Rocky” franchise, “Creed II” qualifies as serviceable entertainment. After losing in royal fashion in 2015’s flat-out terrific “Creed,” Adonis Johnson (Michael B. Jordan), boxing legend Apollo Creed’s son, has a new threat to worry about. Storming in from Russia, the beast-like wrecking machine Viktor Drago (Florian Munteanu), son of disgraced former challenger Ivan Drago (Dolph Lundgren), demands a shot at the belt, which Adonis has now won. 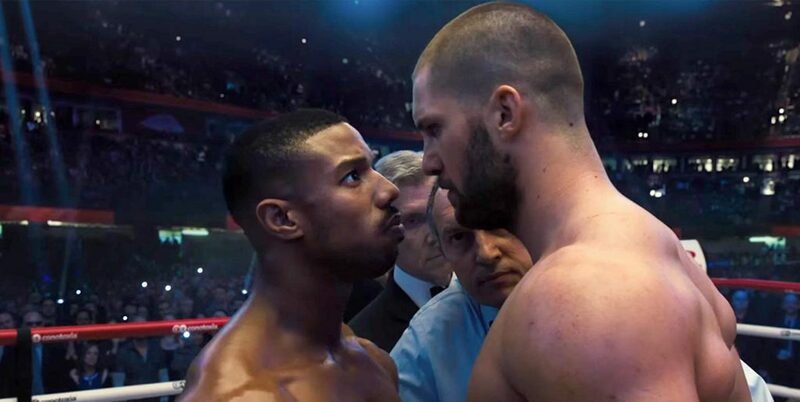 And just like the producers of “Creed II,” boxing promoters see the contrived and forced event as a box office bonanza. Like almost every sequence in this film, nothing is authentic, as the “Rocky” sequel formula is followed with expected results. Covering familiar territory, Adonis finds himself in an awkward situation. Like Rocky, Adonis is an unlikely champ, whose above-average talent just can’t match his incredible heart. Better boxers stand in the way of cementing his legacy, which will always be seen in the over-arching shadow of his famous father, Apollo. Rocky (Sylvester Stallone) acknowledges that Apollo was the best ever, but the unspoken truth in this film is that, as naturally gifted as Apollo was, it was his pride that ended his life. Of course, Rocky was in the corner ringside when Apollo went down to his death at the hands of the ruthless Ivan Drago, as told in the events of “Rocky IV.” Rocky could have thrown in the towel at that fight, but because he didn’t, he is forever haunted by the death of his best friend. Ironically, what works best in this movie are the stories of supporting characters. Adonis’ girlfriend Bianca (Tessa Thompson) struggles with hearing loss, even as her music career is blossoming. 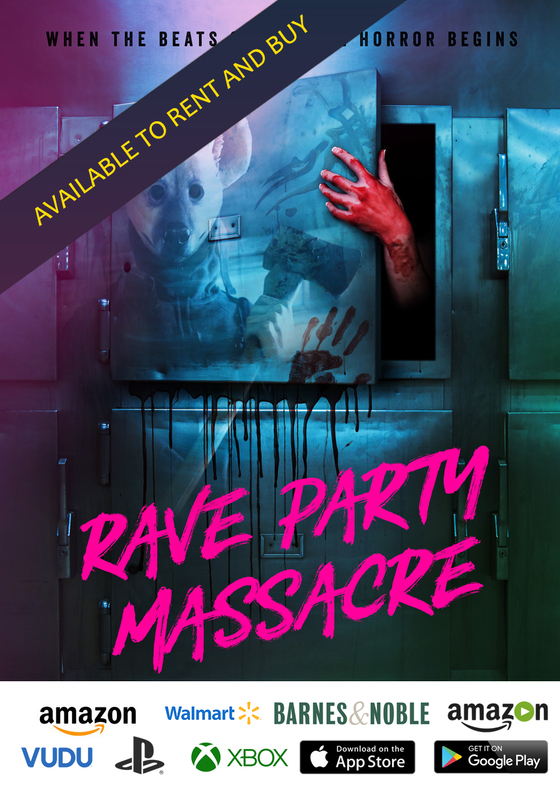 And Ivan must deal with his past demons, as he trains his son to avenge his loss to Rocky. It is the ham-fisted Drago story that manages to work its emotional hooks into the final bout. You end up caring less for Adonis and the telegraphed fight outcome and more for Ivan and his son. And, dog-gone-it, Lundgren, with his stone-faced performance, pulls off something of a minor miracle at an integral point in the movie. Dare I say, that this is the one-time Punisher’s best on-screen performance? Well, yes, I’ll say it: Lundgren is very good here. Thompson is typically great as the conflicted girlfriend. In one rousing musical sequence, viewers might get a lump in their collective throats as she ushers in her husband to the big fight. But it’s all a little too manipulated. 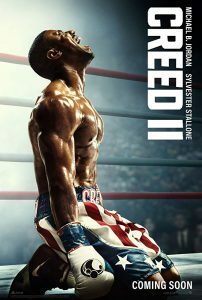 Where the first film was somewhat credible as the Creed origin story was carefully and roughly built, “Creed II” is on autopilot following the tried and true notes that consistently sold movie tickets. The look of this film is noticeably slicker and more commercial that its predecessor. 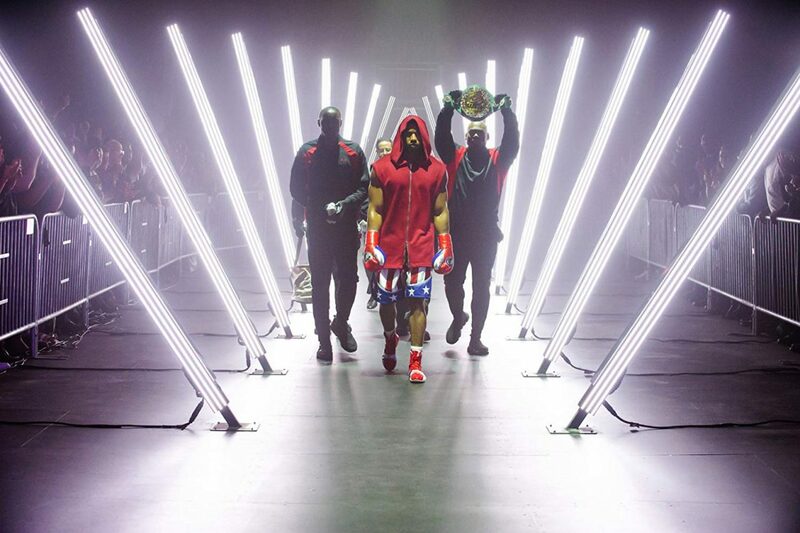 Where cinematographer Maryse Alberti gave us natural looking images and captured the fight sequences with intimacy, “Creed II” director of photography Kramer Morgenthau relies on slow-motion and flash that feels less realistic. The crowd I saw the film with laughed as crushing punches were thrown. The pugilistic nature of the sweet science is given the Marvel Cinematic Universe treatment, especially immediately after one Las Vegas fight, when Adonis looks completely unbruised and entirely relaxed and lucid. Lost is an appreciation for the sport itself. There’s no way around it, Stallone’s writing hand is heavy here. Where Ryan Coogler influenced and guided “Creed,” Stallone’s past tendency to rely on what worked before takes over. It’s all a forgone conclusion. The script lurches from sequence to sequence borrowed from the films three plus decades ago. We get the obligatory fights leading up to the big one, and in between, we’re treated to an expected extended music video where both fighters prepare. Maybe a younger generation needs this update, but fans schooled in the franchise history will consider it all a retread, with only a new boxer at the film’s center. 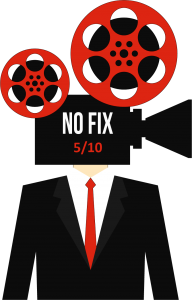 With this exploitative sequel, the Hollywood trend of flatly recycling former box office hits is what looks to guide the now “Creed” series forward. It’s not a positive outlook.